Against the backdrop of geopolitical adversities and global growth increasingly susceptible to bouts of protectionism (the IMF revised down the global growth GDP estimate for 2018 on the back of the rising risks of protectionism), the world is gearing up for the G-20 meeting in Argentina that is to evaluate the prospects of reforming global institutions such as the WTO. Indeed, references to the need for reforming the multilateral institutions have intensified in recent years as the current institutional setup of the world economic order is proving incapable of addressing the key risks facing the global economy. A crucial challenge to global institutions such as the WTO is the increasingly powerful force of regionalism, a force that has largely eluded regulation from the multilateral international organizations while at the same time taking on ever greater authority in driving economic integration. There is accordingly a lack of connectivity between the main regional integration blocks and the global organizations such as the WTO, the latter proving to be largely powerless in the face of the expansion in the number of regional arrangements and their growing potency accumulated in part at the expense of global institutions . Aside from this low degree of vertical connectivity with global institutions, there is also a lack of horizontal coordination among the regional economic blocks, which hampers the implementation of regional/continental integration projects. This concerns the low degree of coordination among the regional development institutions, regional financing arrangements and the trade policies of the largest integration arrangements . A Post-America Future for the WTO? The entire edifice of American prosperity presently relies on the fact that no one has yet seriously challenged Washington's unilateral moves. The only players capable of doing so at the moment are the EU, China and, under certain circumstances, BRICS. The leaders of these states and associations are currently only contemplating the long-term consequences of America’s potential fall from its economic Olympus. In this respect the one key element in the reform in global governance that could be considered by G20 countries may be greater coordination between regionalism and global institutions with the global governance platform for regional arrangements being the G-20 group itself: the set of regional alliances within such a platform could include those regional integration blocks in which the respective G-20 members are leading economic powers. The resulting grouping that may be designated as R20 (as in “Regional 20” - analogously to B20 and other such off-shoots of G-20) would bring together the largest regional heavy-weights in the world economy represented by the following 10 regional blocks: EU, NAFTA (US, Mexico, Canada), SAFTA/SAARC or BIMSTEC (India), ASEAN (Indonesia), EAEU (Russia), Gulf Cooperation Council (Saudi Arabia), the planned Regional comprehensive economic partnership (RCEP – China, Japan, South Korea), South African Development Community or South African Customs Union (South Africa), Closer Economic Relations (CER) (Australia), MERCOSUR (Brazil, Argentina). 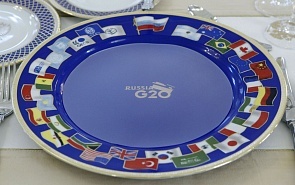 Incidentally, there is already a regional grouping that is part of the G-20 format, namely the EU – but there is no reason why the EU should end up being the only regional block represented in the G-20 framework. This model of interaction with the regional integration blocks of the respective members of the grouping may be treated more universally as a technology in outreach/integration that serves to broaden the effects of the group’s initiatives to cover the regional partners of its members. Such a format has already been advanced with respect to BRICS in the form of a BRICS+/BEAMS modality (see: Y. Lissovolik. BEAMS of the sunrise: a look at BRICS 5-year cycles, Valdai club, June 14, 2018) and may be replicated in other non-regional and geographically diverse groupings such as the Cairns group within the WTO, or the G-15 and G-24. The R20 platform may target the coordination of issues pertaining to regional integration, as well as the coordination of regional integration initiatives with global institutions such as the WTO. As opposed to the BRICS+/BEAMS framework which is to serve as a platform for the so-called format of “integration of integrations” the R20 could play more of a coordination role with the meetings of the representatives of the respective regional blocks taking place each year under the umbrella of the G-20 meetings and consultations. The similarity between the BRICS+ regional framework and the R20 format is that BRICS and G-20 represent the selection of the largest economies across the developing world and the global economy respectively. Such a setting where geography and a particular region do not form the underlying criterion for the grouping make it possible to regionalize these formats and increase the connectivity between the members of the group (and its economic initiatives) and their regional partners. The main value that unites the BRICS countries in these difficult times of the economic disorganization and the political uncertainty is their development, said the Maksim Oreshkin, Russian Minister of Economic Development. On July 19, 2018, he took part at the Valdai Club expert discussion, titled “New Centers of Development and Their Role in the Economic Progress of the World”, which was organized on the eve of the BRICS summit in Johannesburg. Apart from addressing the issues of trade liberalization via RTAs and FTAs there may also be a “connectivity track” within the R20 format, which would bring together such infrastructural connectivity initiatives as the BRI launched by China or the India-Japan connectivity initiatives such as the Asia-Africa Growth Corridor (AAGC). The latter initiatives could then be subject to greater coordination/reconciliation within the R20 framework and hence could address the lack of horizontal coordination among the regional development institutions and integration arrangements. The importance of building linkages between the G-20 economies and the regional integration blocks is increasingly discussed as regional economic integration in the developing world is progressing despite the signs of weakening integration in the developed world. In particular, one of the “G-20 insights” policy papers published in July 2018 calls for “G20 countries in particular… [to] support capacity building for … regional organizations [of the developing world] and involve them fully in relevant policy dialogues” . ﻿“Light breathing” is not the story by the Nobel Prize winner Ivan Bunin, but rather a free translation of the name of Argentina’s capital, Buenos Aires. Soon it will host the G20 summit. And prior to that there was a meeting of representatives of the leading G20 intellectual organizations – universities, think tanks, etc. – in order to determine what is worth discussing for the political leaders of the most developed countries in the world. The meeting was called the T20 summit. The paper focusses on the regional trends in migration in the developing world, most notably in Africa and suggests that “the role and influence of regional organizations in both the (new) global migration architecture and in intraregional (RCPs) or interregional dialogue formats should be enhanced, for example by providing them with a more active role in the follow-up process related to migration compacts” . In the end, it appears that regional blocks act as a double-edged sword for global institutions and the world economy – on the one hand they are currently the key agents of economic openness, particularly in the developing world. On the other hand, the progression of regionalism to the level of mega-regionals and mega-blocks represents a key challenge to global institutions, some would say a challenge to the very existence of global organizations like the WTO. In this respect the proposed R20 format may be a way to transform regionalism from being a key challenge to globalism and institutions such as the WTO to a more supportive framework between regionalism and globalism that is intermediated via the G20 framework.